What’s New in the WHS Act? Does the new legislation have just a bit of new jargon for me to learn or are there real and significant changes? How might things have changed for my business under the new legislation and am I more or less liable than I was under the old. In fact, who is really responsible for my health and the health and safety and everyone else at work. For a lot of people the shock is that most people are now ‘workers’. No more soft touches like ‘employee’, ‘staff’ under this legislation. Of course, in actuality people at work still fall under these definitions, these terms still exist in language and we may use them in our own organisations. At work we are workers unless we qualify as an ‘officer’ as defined the Commonwealth Corporations Act 2001 (which by the way is 800 pages – long the biggest in the world – by comparison, Sweden’s is only 200 pages). So who is an ‘officer’, well, anyone who may influence the governance of an organisation. So, hands on the purse strings or making decisions about how and where the organisations resources may be spent, you are it! And you must demonstrate positive due diligence. Really, it makes sense. Why should the vital role of health and safety of everyone in a workplace be treated differently to, say, the management of financial risks. 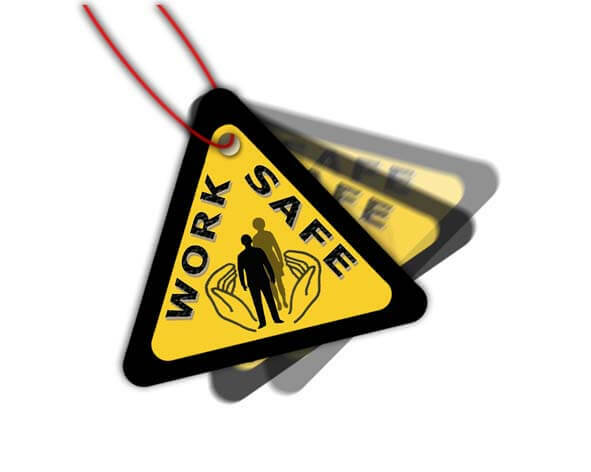 It assists in linking health and safety to productivity. It is not an add on but an integral part of good governance. Most particularly in the business is operating in a more hostile environment. For example, construction and mining. verify the provision and use of these resources and processes. And here is the punch line. IGNORANCE IS NO DEFENCE. You cannot say ‘I didn’t know the gun was loaded’. Read the points 1-6 above again. You may allocate the work to another (a worker!) but not the responsibility. And you must VERIFY VERIFY…. This does not let workers off the hook. Under the legislation worker must take reasonable care of themselves and others in a workplace. Noticing hazards and risks and reporting them up the line is essential if officers are to have the knowledge and information they require to adequately allocate resources to the management of health and safety.